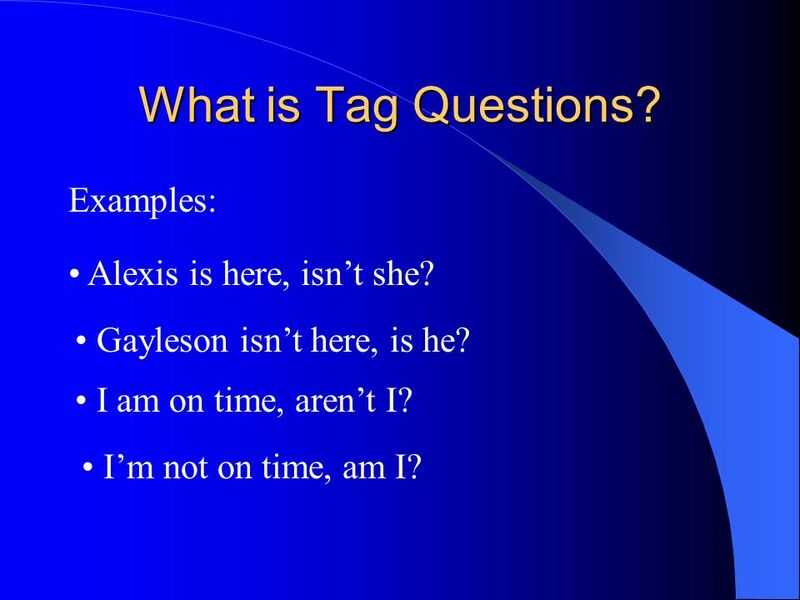 3 What is Tag Questions? Examples: Alexis is here, isn’t she? Gayleson isn’t here, is he? I am on time, aren’t I? I’m not on time, am I? 4 Tag Questions It is a statement followed by a mini-question. 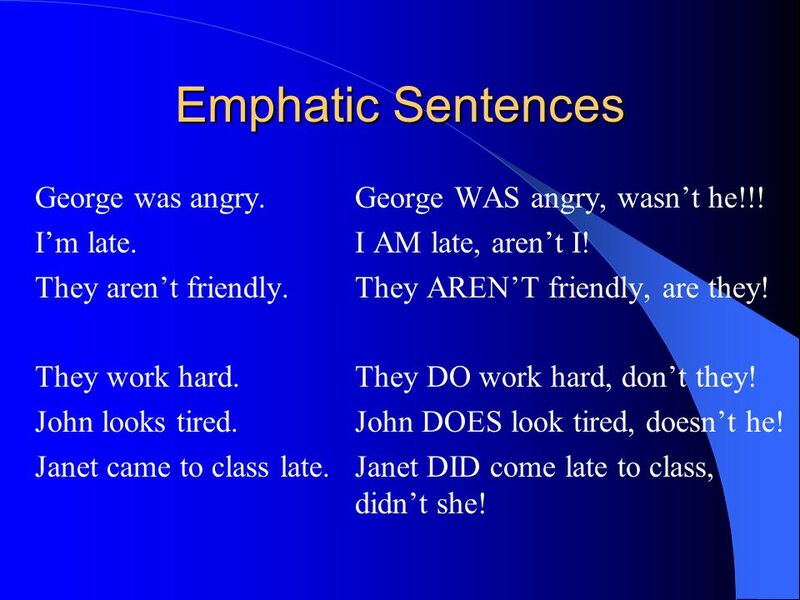 The whole sentence is a "tag question” The mini-question at the end is called a "question tag"
6 Emphatic Sentences George was angry. George WAS angry, wasn’t he!!! I’m late. I AM late, aren’t I! They aren’t friendly. They AREN’T friendly, are they! They work hard. They DO work hard, don’t they! John looks tired. John DOES look tired, doesn’t he! Janet came to class late. Janet DID come late to class, didn’t she! 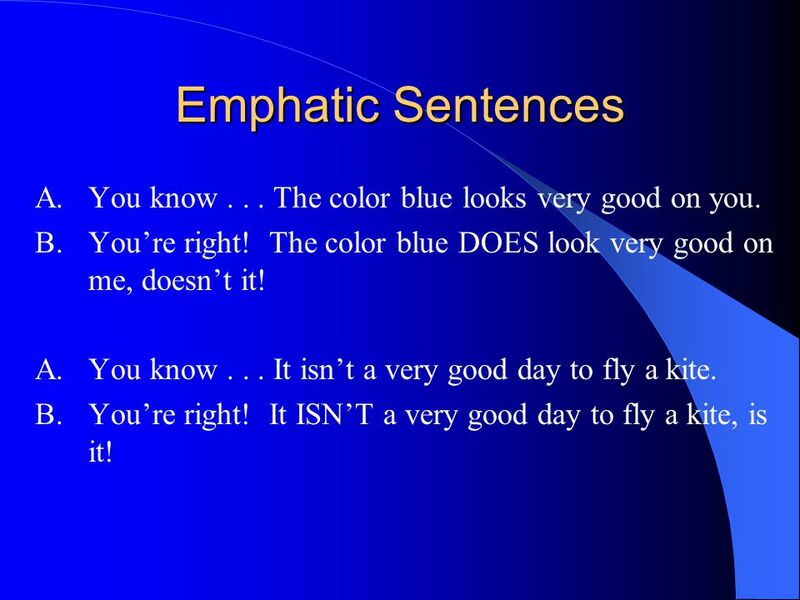 7 Emphatic Sentences A. You know The color blue looks very good on you. B.	You’re right! The color blue DOES look very good on me, doesn’t it! A. You know It isn’t a very good day to fly a kite. 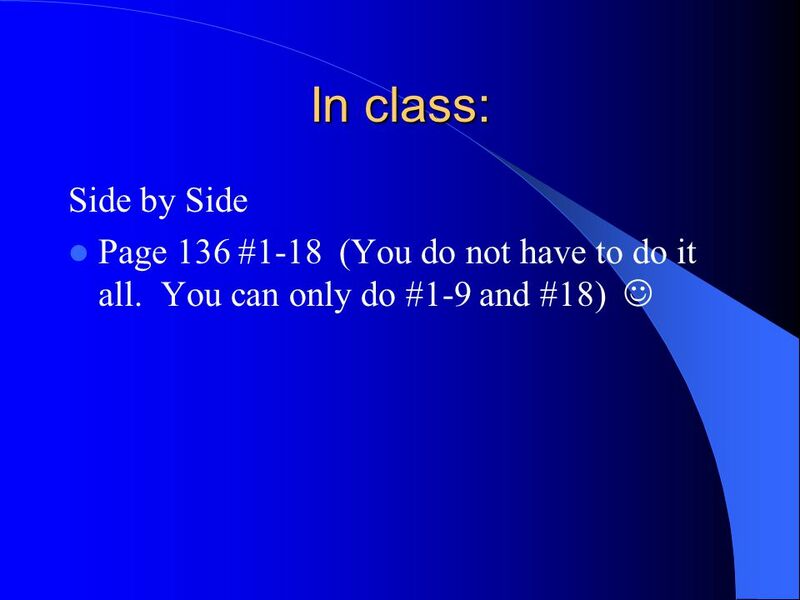 B.	You’re right! It ISN’T a very good day to fly a kite, is it! 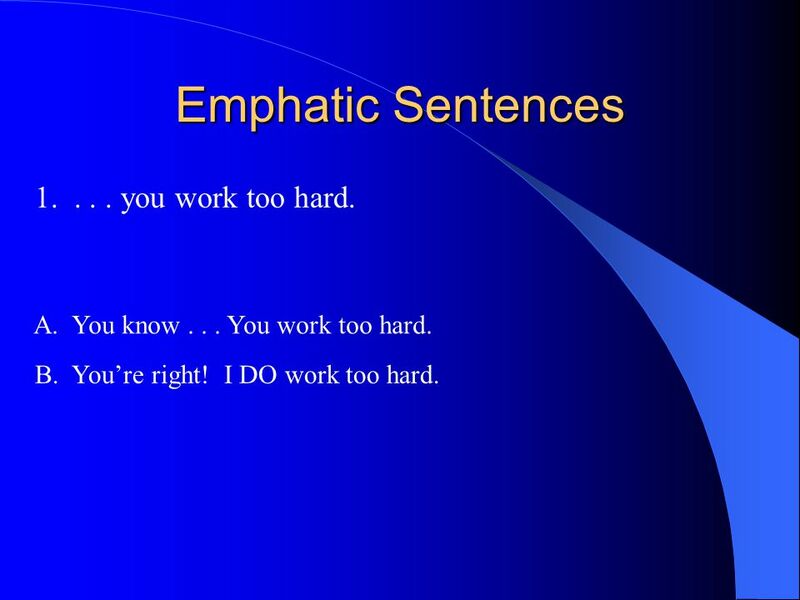 8 Emphatic Sentences 1. . . . you work too hard. A. You know You work too hard. B. You’re right! I DO work too hard. 9 Emphatic Sentences 1. . . . Charlie is a very talented dog. A. You know Charlie is a very talented dog. B. You’re right! He IS a very talented dog. 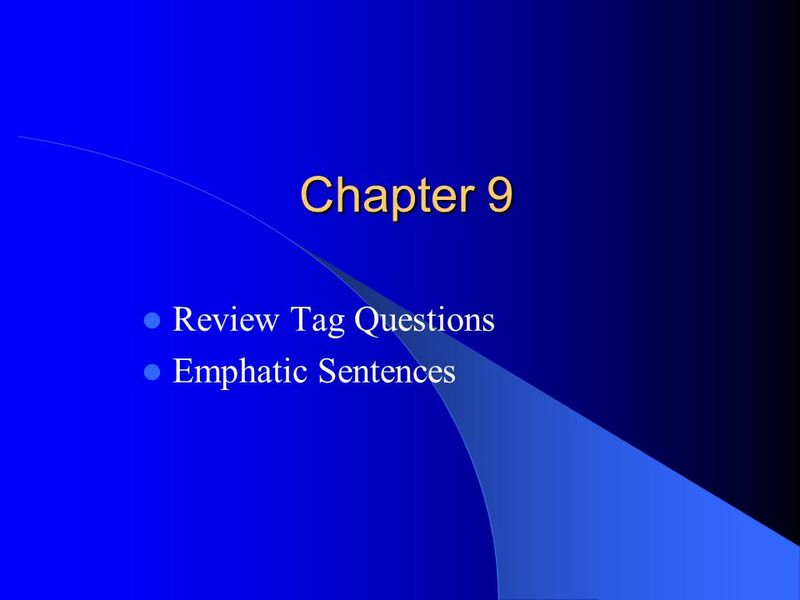 Download ppt "Review Tag Questions Emphatic Sentences"
Basic Sight Words Easier Words. 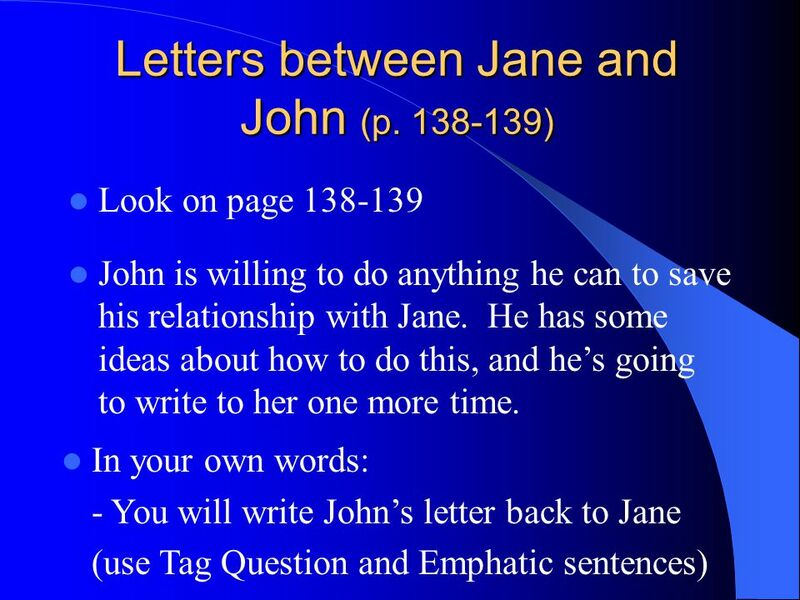 Grammar Review 1. The PresentTenses. So Do I/Neither Do I To agree and not to agree. Affirmative I live in SB. Where do you live? So do I I also do. So does heShe also does. I do too. She. Tuesday, September 20th.  A tag question is a sentence with a question phrase connected at the end. Example: It’s windy today, isn’t it? 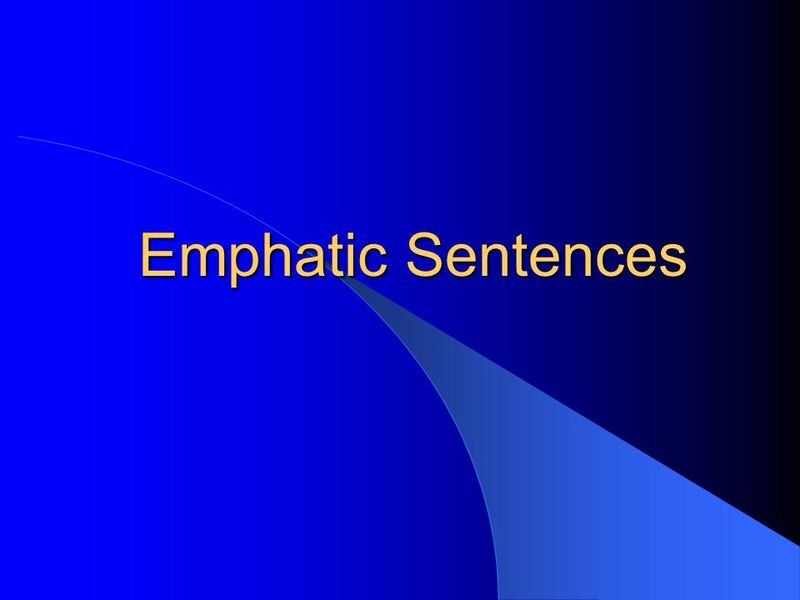 Sentence partTag.